Go to original pattern for design DROPS 158-33. 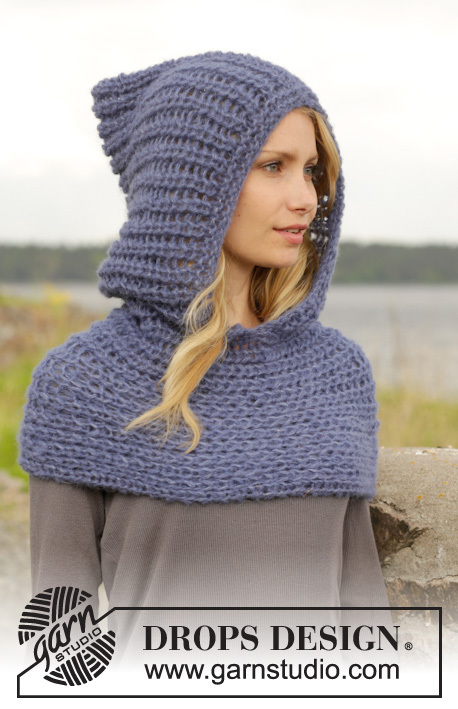 Knitted DROPS neck warmer with hood with false English rib in 2 strands ”Brushed Alpaca Silk”. Size: S - XXXL. 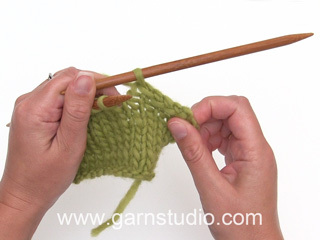 DROPS NEEDLE SIZE 9 mm - or size needed to get 10 sts x 14 rows with English rib with 2 strands = 10 x 10 cm. 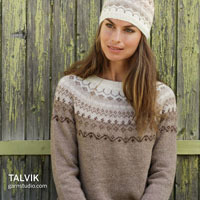 You can get the yarn to make this pattern from	10.40£. Read more. Row 1: * P 1, 1 YO, slip 1 st as if to P *, repeat from *-* until 1 st remains, finish with P 1. Row 2: K.1 * P tog YO and slipped st, K 1 *, repeat from *-* until the end of row. Repeat 1st and 2nd row upwards. Worked in 2 parts that are sewn tog when finished. Worked back and forth on needle. LOOSELY cast on 35-37-39 sts (incl 1 edge st in each side) on needle size 9 mm with 2 strands Brushed Alpaca Silk. Work 2 ridges in GARTER ST - see explanation above. Then work FALSE ENGLISH RIB - see explanation above – with 1 edge st in garter st in each side of piece - REMEMBER THE KNITTING TENSION. When piece measures 56-56-56 cm, work 2 ridges, LOOSELY cast off. Worked back and forth on needle. LOOSELY cast on 31-33-35 sts (incl 1 edge st in each side) on needle size 9 mm with 2 strands Brushed Alpaca Silk. P 1 row, then work false English rib with 1 edge st in garter st in each side of piece - REMEMBER THE KNITTING TENSION. When piece measures 58-72-86 cm, P 1 row, LOOSELY cast off. Fold hood double, sew tog along one long side from mid front to mid back - see chart. Fold neck warmer part double and sew short sides tog into 1 ring. 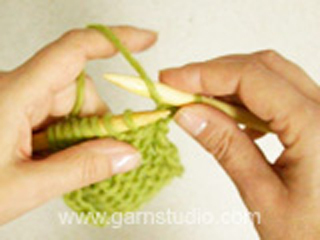 For size L/XL and XXL/XXXL: Baste 1 pleat thread along one opening on neck warmer, remove the thread after assembly. Sew hood and neck warmer part (seam on neck warmer part should be on the opposite side of hood opening) tog inside 1 edge st. 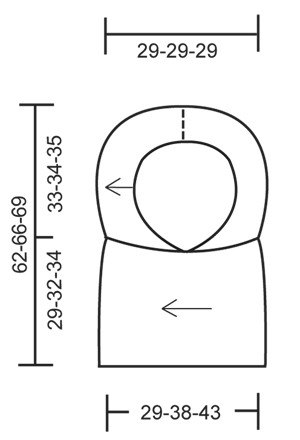 Correction of no of sts in HOOD PART (35-37-39) and NECK WARMER PART (31-33-35). Correction - FALSE ENGLISH RIB: Row 2: K.1 * P tog YO and slipped st, K 1 *, repeat from *-* until the end of row. Proszę o pomoc. Jako zamiennik do podanej włóczki podpowiada mi Melody, ale chciałabym włóczkę bez tak długiego włosa. Jakiej włóczki mogę użyć i ile? Witaj Magdo! Widzę 2 opcje: 1. Eskimo (1 nitką), ok. 300 g; 2. Nepal aktualnie w promocji:) (2 nitkami), ok. 400 g. Miłej pracy! Hi, I believe there is an error in the instructions for Row 2 of the False English Rib. It should begin with a K1 instead of the P tog (the P1 in Row 1 should be met by a K1 in Row 2). I finally managed to make the pattern look correct after making this adjustment. Please correct for the others who may want to complete this project. Thanks! 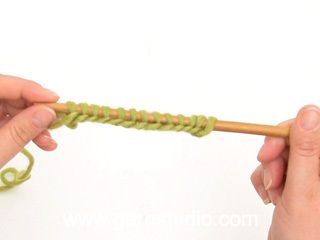 I'm confused about the instructions for the edge stitch. 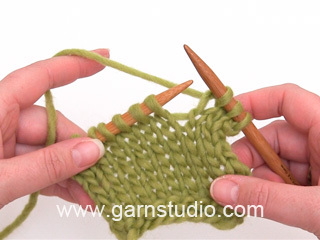 For the False English Rib, am I to start and end each row with a knit stitch (as the "edge stitch")? I've cast on 35 stitches for the hood, but I cannot make these extra edge stitches work with the instructions for the False English Rib. Thank you for any help! Dear Apricot, work the 35 sts as follows: 1 edge st in garter st, repeat from *-* a total of 16 times (= over the next 32 sts), then finish with the last st as explained under row 1 /2 and 1 stitch in garter st= 1 + 32 + 1 + 1 = 35 sts. Happy knitting! Scusate, non riesco a capire come fare il secondo ferro: se il primo finisce con una maglia a rovescio, come mai nel secondo ferro si parla subito di fare a rovescio il gettato e la maglia passata? Come devo comportarmi? La prima maglia che trovo ovviamente non è la maglia gettata perché ho finito con un rovescio... aiutatemi!!! PER FAVORE POTETE RISPONDERMI? Buongiorno Valeria. Modificheremo il testo. Deve lavorare 1 maglia diritto e poi lavora insieme la maglia passata e la maglia gettata. Buon lavoro! Scusate, non riesco a capire come fare il secondo ferro: se il primo finisce con una maglia a rovescio, come mai nel secondo ferro si parla subito di fare a rovescio il gettato e la maglia passata? Come devo comportarmi? La prima maglia che trovo ovviamente non è la maglia gettata perché ho finito con un rovescio... aiutatemi!!! 22 3/4 inches around for the cowl part is only half my body. Does it stretch? Seems like it should’ve been doubled. Dear Mrs Romanko, piece will be strechted as shown over the shoulder in the picture - remember to check and keep correct tension. Happy knitting! Bonjour Corinne, le nbe de mailles a été ajusté. Merci. Bon tricot! Dear Lisa, you will find total amount of yarn required for each size under tab "materials" - remember your DROPS store will help you with individual tips & advices. Happy knitting!